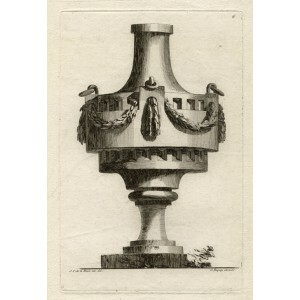 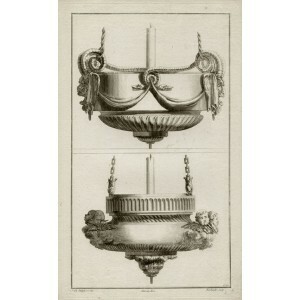 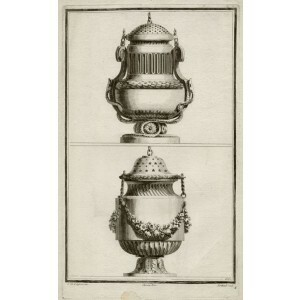 Delafosse was a French decorative designer, engraver and architect. 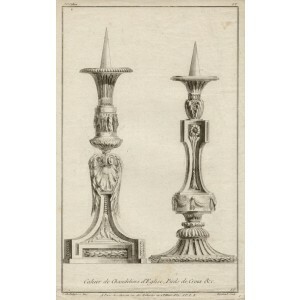 Apprenticed for a time to a sculptor, by 1767 he styled himself an 'architect and professor of design'. 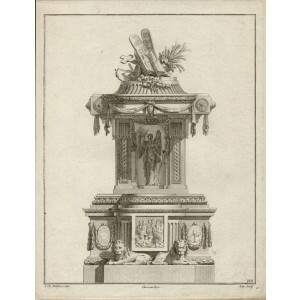 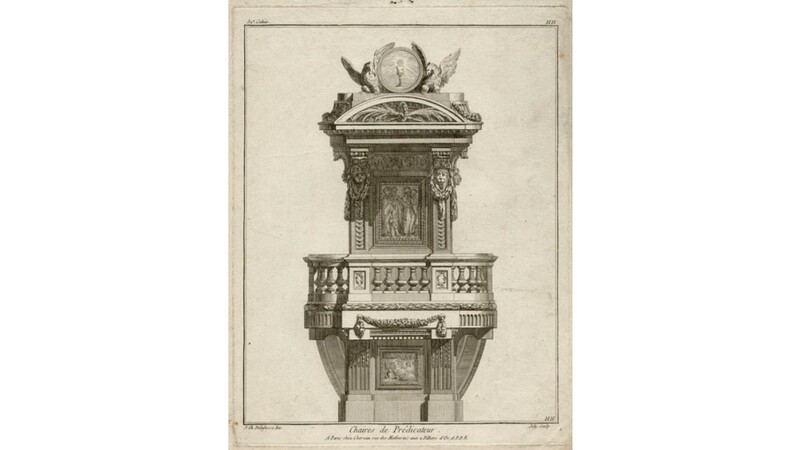 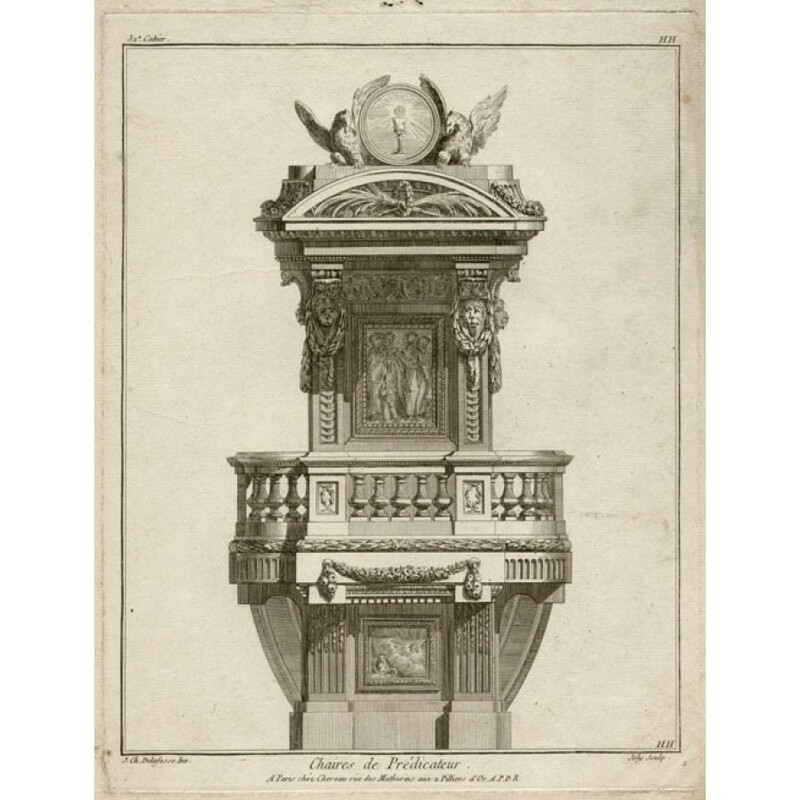 He published the first volume of his most important work, Nouvelle Iconologie Historique in 1768, containing 110 plates of his designs for furniture, decorative arts and architectural ornaments in the Louis XVI style. 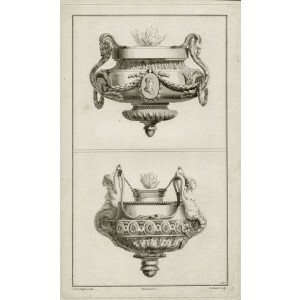 The designs reflect the latest neoclassical tastes, as interpreted in decorative arts, of the Louis XVI period. 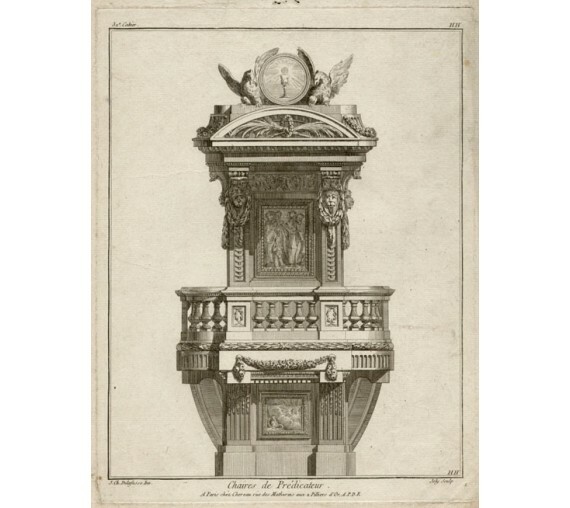 The prints were collected by aristocrats interested in the latest styles and served as source material for their architects and decorative arts designers, who drew upon the prints as inspiration for designing furniture and decorative arts.